The top end of Europe’s coatings raw materials sector is poised for a shake-up as a result of two of its leading players planning the divestment of their pigments businesses. 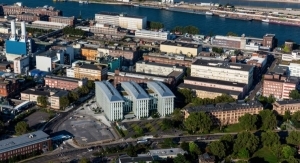 BASF revealed in February that it is aiming to sell off its pigments operation only four months after Clariant announced it is offloading its own pigments activity. Both companies have mainly high-performance pigments portfolios which are closely integrated with activities in coatings additives and dispersions. As a result of the divestment, there will be even fewer international companies with well-integrated coatings raw materials operations. In a BASF article published on the company’s website last October, Charles Johnson, BASF’s market segment manager for architectural coatings, said that as a raw materials supplier and partner in product development “we participate in everything that goes into a can of paint” – with the exception of bulk commodities like titanium dioxide (TiO2). Without pigments in its portfolio, it will be difficult for BASF to claim such a single-source capability. In terms of value, BASF is one of the largest global suppliers of pigments and dispersions, with combined sales last year of €5.3 billion ($6 billion), of which pigments and effect pigments accounted for around €1 billion. Of the three product groups – including effects pigments, additives and dispersions – pigments are regarded by BASF and Clariant as having the least potential for sales growth and innovation-driven profitability. 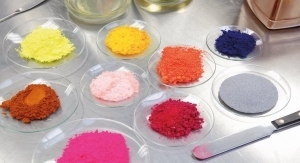 With the vast majority of pigments being invented in the last century, there seems to be little chance of major technological advances, except in niche markets. Meanwhile, Europe-based pigments manufacturers are continuing to face intense competition from producers in Asia, mainly in India and China. At the same time, European producers are having to struggle with rising raw material costs, which are often triggered by pigments shortages. Pigments production capacity in China – a major source for European coatings producers of organic pigments – has been squeezed by stricter Chinese environmental regulations. 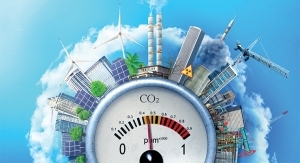 The effects of Chinese authorities enforcing regulations to make chemicals producers environmentally cleaner have stretched along the supply chain to impact suppliers of base chemicals and intermediates. Consequently, Chinese pigment manufacturers are themselves having to deal with raw material scarcities and price hikes which have pushed up their costs. 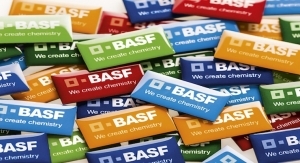 Sales of BASF’s dispersions and pigments business declined by two percent last year while there was, according to the company, a “considerable decline” in earnings before interest and tax (EBIT) due to lower margins and higher costs. 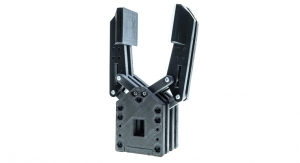 The company did not give a breakdown in sales and profits between dispersions and pigments. But it did say in its 2018 annual report that higher sales volumes for dispersions in Europe and North America – as well as in the electronic materials business – were offset by lower volumes in pigments and additives as a result of stronger competition and, in the resins business, of raw material shortages. BASF’s pigments business was hit by a decline in the automotive sector which is one of its main customer industries. Global auto output went down by 0.8 percent while that in the European Union dropped by 1.3 percent but this merely reinforced an underlying sluggishness in longer-term pigments demand. “The pigments market is growing rather slowly and there is a lot of competition from Asian producers,” Martin Brudermueller, who took over as BASF’s chairman last year, said at the company’s annual result press conference in February when explaining the reason for the pigment divestment. In addition to the lack of a strong impetus from innovations, pigments were difficult to fit into the company’s core concept of Verbund which provides a basis for integration of production but also R&D know-how. “We have to find a new owner for the pigments that will lead this business into the future,” Brudermueller said. In comparison to pigments, BASF sees a brighter future in dispersions as shown by just completed or planned capacity expansions at its main site at Ludwigshafen, Germany, and at Pasir Gudang, Malaysia. 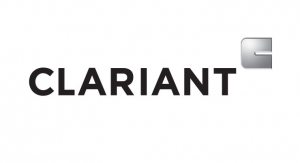 These moves to achieve growth in higher margin areas are in line with objectives being pursued by Clariant which in a joint venture with Saudi Arabia’s Saudi Basic Industries Corporation (SABIC) is setting up a high-performance materials operation. 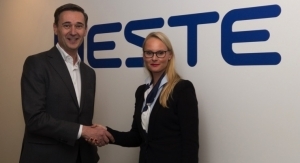 With the divestment of its pigments business and other activities such as standard masterbatches, the company hopes this initiative will help to boost sales and yield an EBITDA margin of around 20 percent. 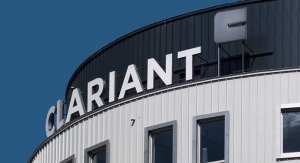 The creation of the high-performance business has stemmed from an abortive merger with Huntsman Corp. in 2017 which led to SABIC acquiring a 25-percent stake in Clariant. In its media preview for its participation in the European Coatings Show in March, the company focused on its new strategy by highlighting its display of additives and dispersion products. Its main pigment at the show was a high resistant version of diketopyrrolopyrrol (DPP), one of the last major pigments inventions first developed in the early 1970s. 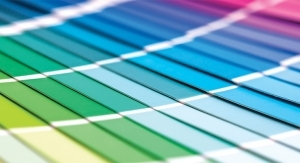 Nonetheless Clariant’s and BASF’s pigments portfolio and R&D plans for the colors market show the promising prospects for niche, specialty products. This is a reflection of the way Europe’s pigments sector is moving into higher value, customer-targeted pigments. 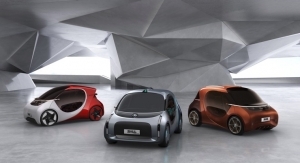 BASF, for example, has a development partnership with Landa Labs, the technology innovation arm of Landa Group of Israel, in the use of nanotechnology to provide pigments with color depth and easy dispersibility mainly for the automotive coatings market. At the ECS BASF introduced eXpand! Blue, following the launch last year of eXpand! Red, the first new product of the partnership which uses a pioneering stir-in technology based on a liquid slurry of nanoparticles rather than the conventional powder-based technique. The smaller and narrower size of the particles produces not only greater dispersibility but more intense colors. For Landa, which has been developing its nanoparticles mainly for the printing sector, the BASF alliance has been an expansion into the automotive market because of BASF’s strong presence in the sector. ALTANA Group of Germany, owner of Eckart, a leading player in metallic pigments, is a major investor in Landa Group, owning 48 percent of its Landa Digital Printing business. It is also a big supplier of effect pigments to the automotive sector. As a result, ALTANA is seen as a possible acquirer of the BASF business. But another scenario is a takeover by an equity fund of both BASF’s and Clariant’s operations to create a global player solely dedicated to pigments.